PUBLIC is delighted to host the first ever European GovTech Summit in Paris, bringing startups, government and technology together to imagine the future of public services and democracy. 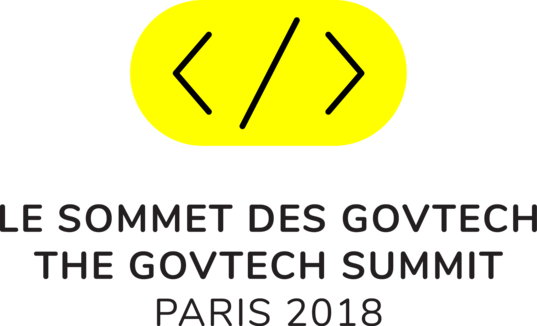 Supported by President Emmanuel Macron, Paris Mayor Anne Hidalgo and the European Commision, the GovTech Summit gathers leaders, ministers and innovators from across Europe to explore how new technologies can improve public services and democratic practices. The one-day summit will feature more than 90 international speakers, covering topics from transport to healthcare, from security to international development, from e-government to citizen engagement. In addition, attendees will participate in cutting-edge debates, panel discussions and networking sessions, as well as the largest ever GovTech Pitch competition, exploring in depth Europe’s most exciting new ecosystem. For startups, the Summit provides an opportunity to meet investors and buyers, and showcase their innovative solutions, with events such as the ‘GovTech Pitch’, the largest ever startup pitch event in the industry. For the public sector, the event is a chance to meet and hear from Europe’s leading policy makers and innovators from across both the public sector and tech industry. For corporates and investors, the Summit presents the future of an exciting new industry and a chance to network with the founders developing the latest solutions and buyers looking for new business ideas. The GovTech Summit will reimagine services that place citizens at the centre of public delivery, where public servants have an array of technology-enabled resources and information at their fingertips, and can use new, dynamic ways of delivering better, more efficient, more citizen-focused services. Book your accomodation in Paris with Booking.com, our accommodation partner.